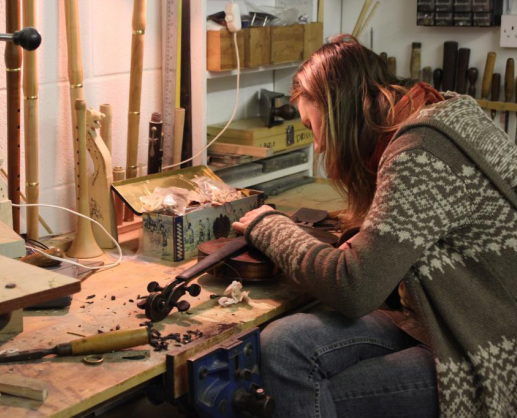 Hannah Sedgwick is an experienced luthier with over 20 years of experience in the business. She first set up a workshop in Penryn in 2002, having graduated from London Guildhall University with a Bsc Hons in Musical Instrument Technology. She passionately designs and makes and repairs violins and early woodwind instruments. Hannah is also a passionate wood turner and carver. See a selection of her work ﻿here﻿.